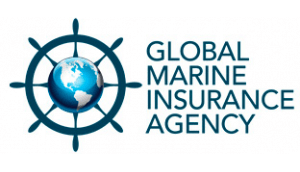 Global Marine Insurance Agency is privately owned, and solely dedicated to providing insurance coverage to members of the boating community. We’re proud of the reputation we’ve earned within the industry, and of the superior customer service we provide to our clients, a level of service that doesn’t ebb once we’ve sold you a policy. From stem to stern, from issuing the policy to handling claims, we’re there with you, helping you leave your cares on land as you head toward open waters. From mega yacht insurance to all types of boat insurance, we’re committed to finding you the coverage you need at the best possible price. We’re licensed in the 48 contiguous United States, and use surplus carriers that allow us to write certain vessels outside the U.S. Our yacht and boat insurance specialists work very closely with our insurance companies, all of which are “A-” rated or better. Pantaenius America, Ltd. is part of the worldwide Pantaenius Group, which boasts 50 years of experience providing insurance solutions for yacht owners. We insure boats and yachts 27’ and longer with a minimum hull value of $45,000 (vessels based in Florida must have a hull value greater than $200,000). 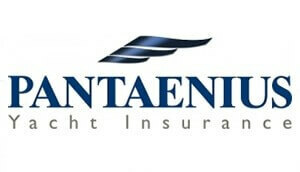 The Pantaenius America Yacht Policy offers the most comprehensive coverage on the market. We are licensed in all 50 states and have five offices in the U.S. Our navigational limits are extremely broad, and we welcome not only the coastal enthusiast but also the circumnavigator. Advantages of the Pantaenius America Yacht Policy include: Agreed fixed stated value for hull with no depreciation; no deductible for losses caused by fire, lightning, total loss and constructive total loss; coverage for latent defects—including the defective part—at no extra expense; coverage of resulting damages arising from wear and tear; and no hidden or implied warranties of seaworthiness. yachtcloser@pantaenius.com or call Pantaenius America headquarters at (914) 381-2066.